Six homeowners find big-time pleasure in their tiny homes in Maine. 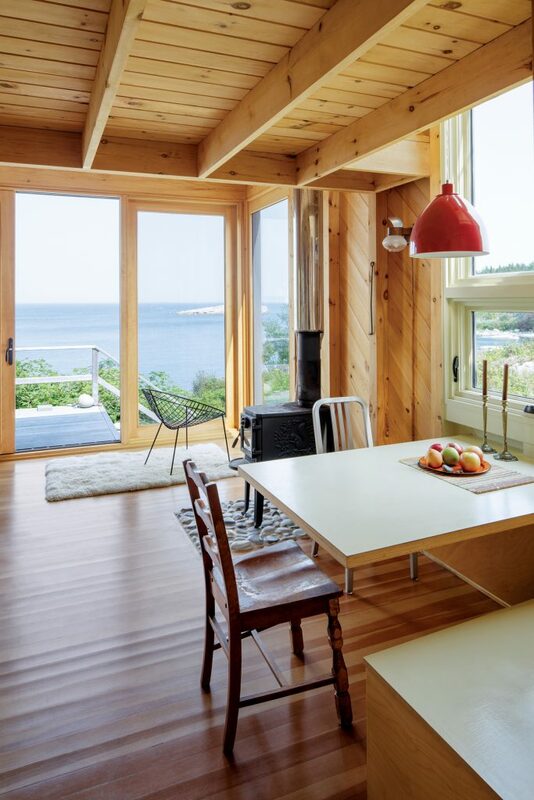 Natural light and waterfront views abound in this intimate retreat. 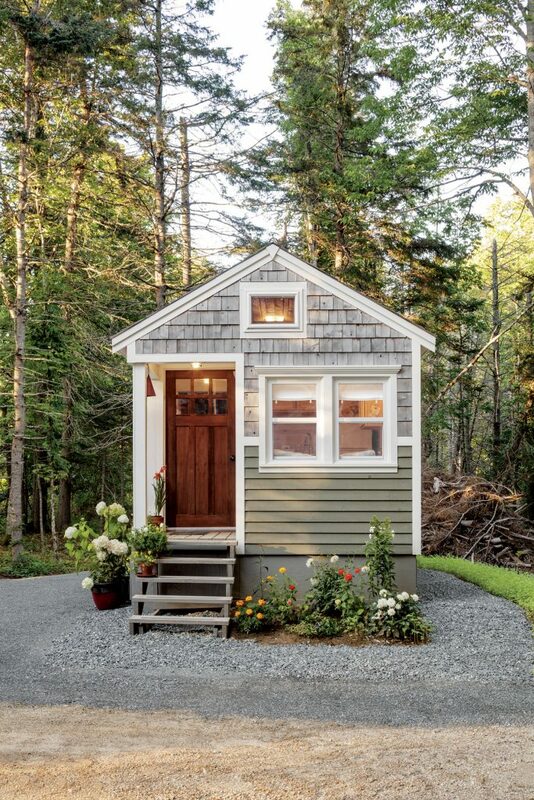 Efficiency was perhaps the main consideration in the building of this small house, which was designed by R. McAllister Lloyd, founder of Creative Cottages, and built by Lloyd and his crew in a Brunswick warehouse. The exterior shell, complete with windows and siding, was flat-bedded to Freeport and hoisted into place by a crane. On site, the house went up within days. Lloyd wanted to build a place that was scaled down but didn’t feel cramped. Accordingly, the 19-by-22–foot cottage has a full kitchen and comfortable bath, along with a laundry, gas fireplace, and large overhead loft for storage. Light streams in through dormers and a wall of glass, which means interior lights aren’t needed until “well after the sun has set,” Lloyd says. The furnishings and artwork provide splashes of color against the warm beiges and grays of the cultured-stone fireplace, pickle-washed finishes, and wood-grain ceramic floor tiles. 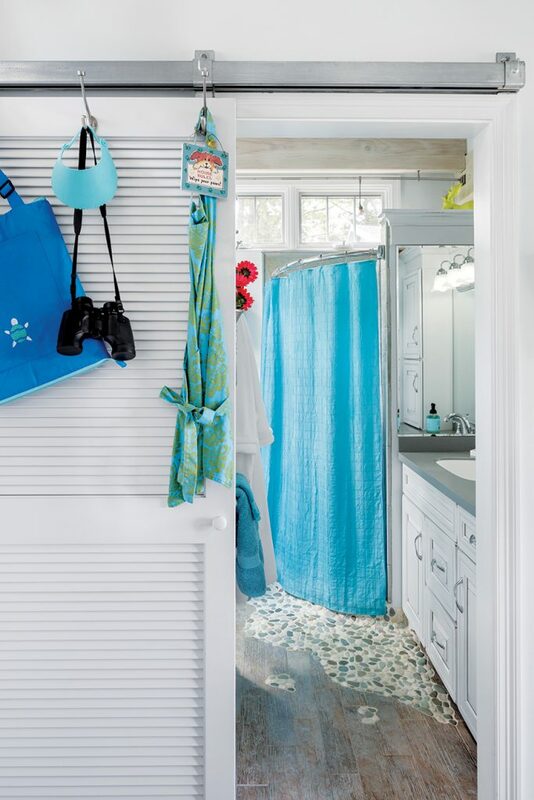 In the bathroom, a beach-stone shower floor flows into the rest of the room, and transom windows allow for natural light. 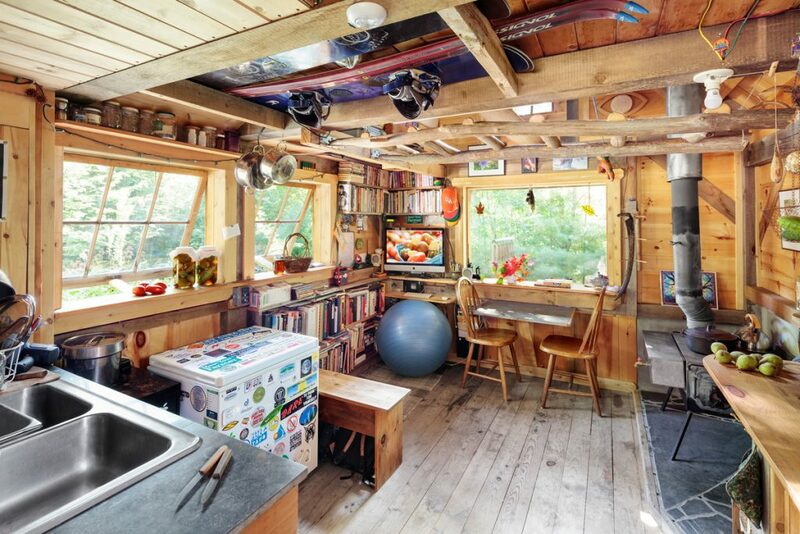 “Our philosophy was to try to bring the outside in,” says Lucy Lloyd, who runs Creative Cottages with her husband. 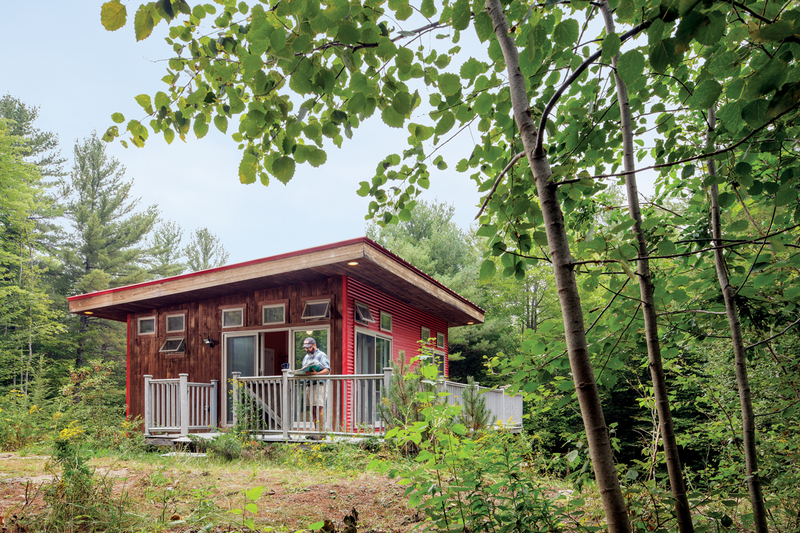 A Morrill builder marries traditional design with a tiny-house ethos. 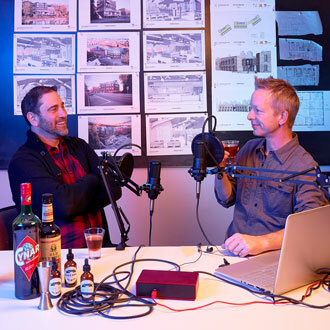 While consciously building small, Bahoosh wanted the place to feel as roomy as possible. 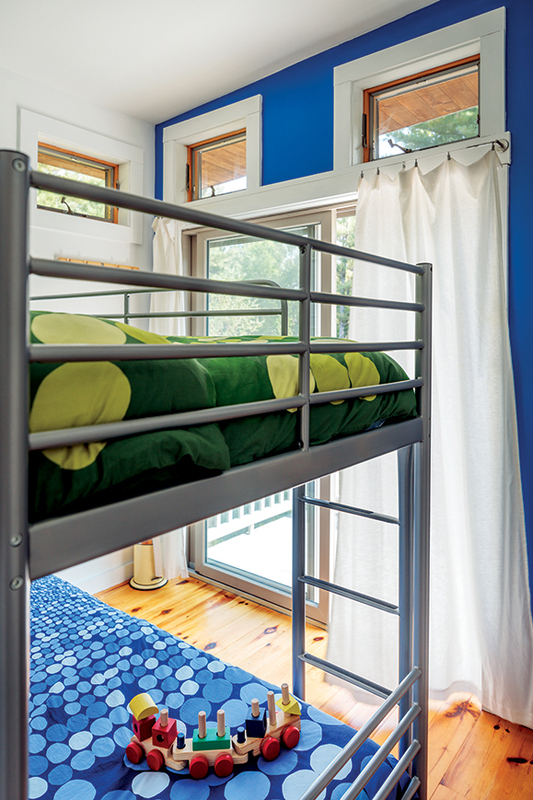 Sightlines afford a sense of spaciousness, and the rooms are generously proportioned. In the kitchen, Garfield cooks at an oversized vintage range, and the bathroom holds a beloved clawfoot tub. Entryway, dining nook, and sunroom round out the downstairs. 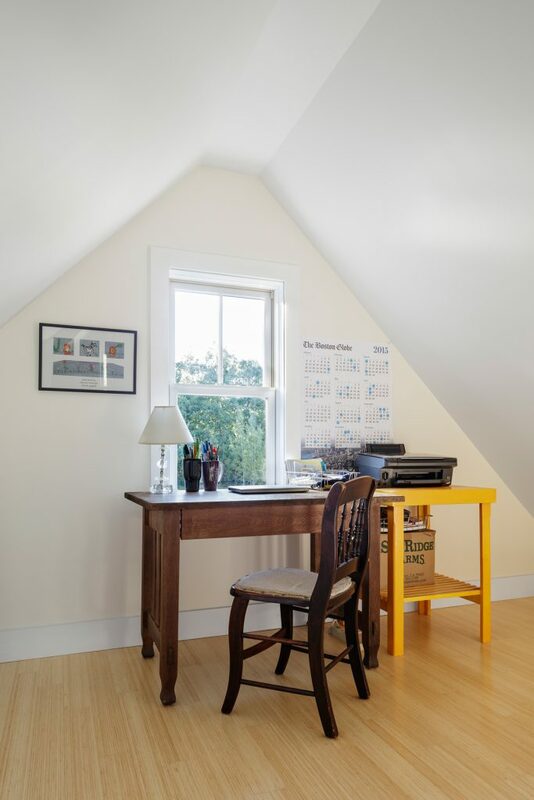 The upstairs holds two bedrooms, one of which doubles as an office. 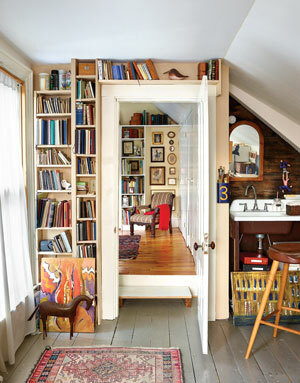 Cabinets, closets, and shelves fit cannily into corners and eaves. 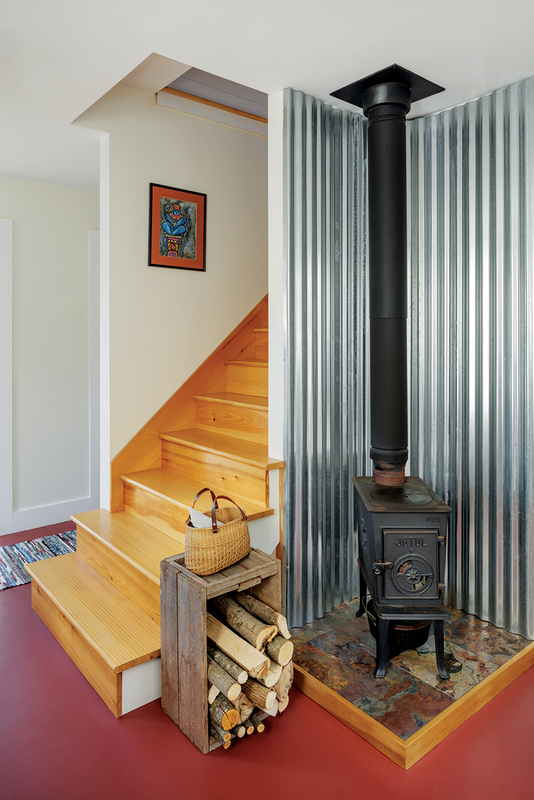 On chilly nights, a woodstove and radiant floor heat keep things warm. 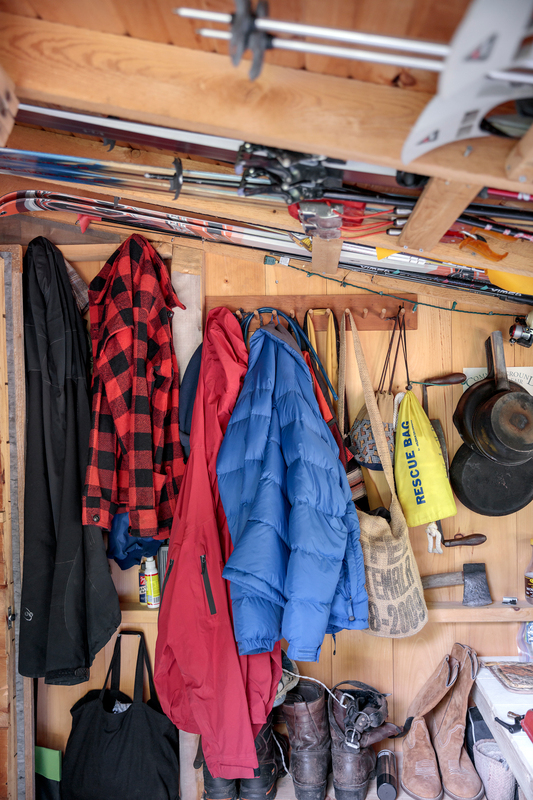 Abundant insulation reduces energy consumption; utilities cost around $1,000 a year. 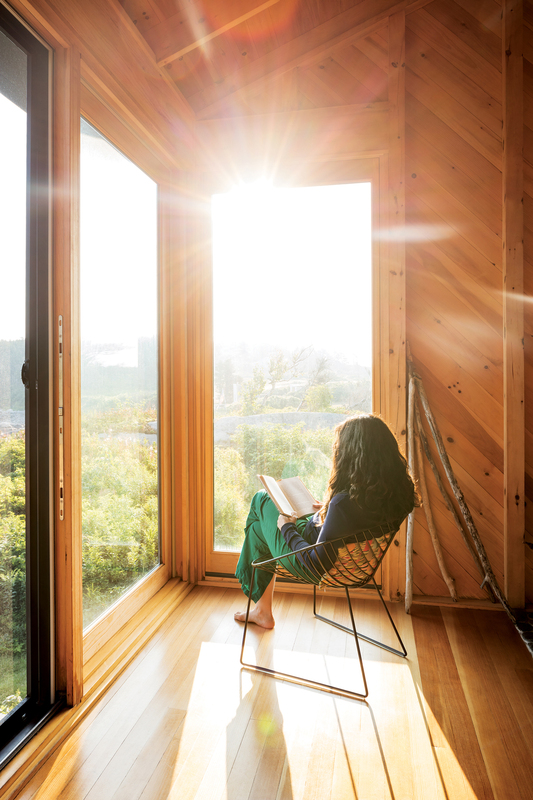 Human efficiencies matter too: “The house is really easy to clean, and easy to maintain inside and outside over the long haul,” says Bahoosh. 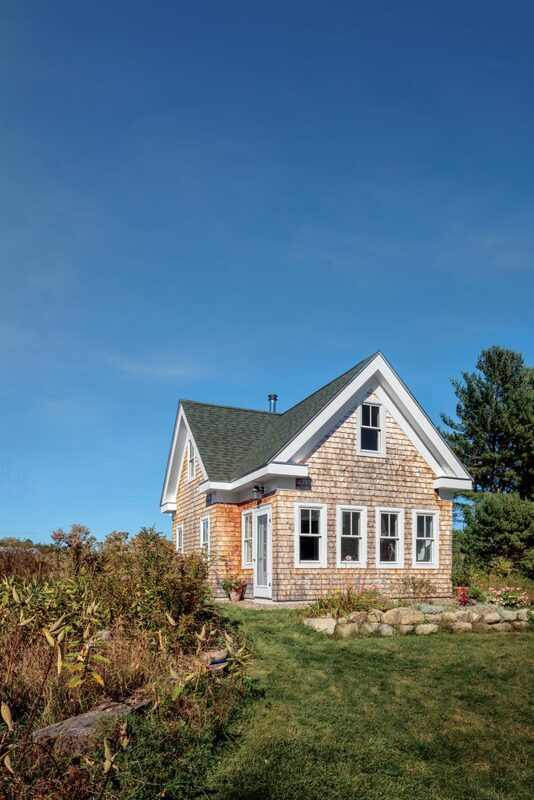 An ocean-side cottage offers efficiency and low-key luxury. 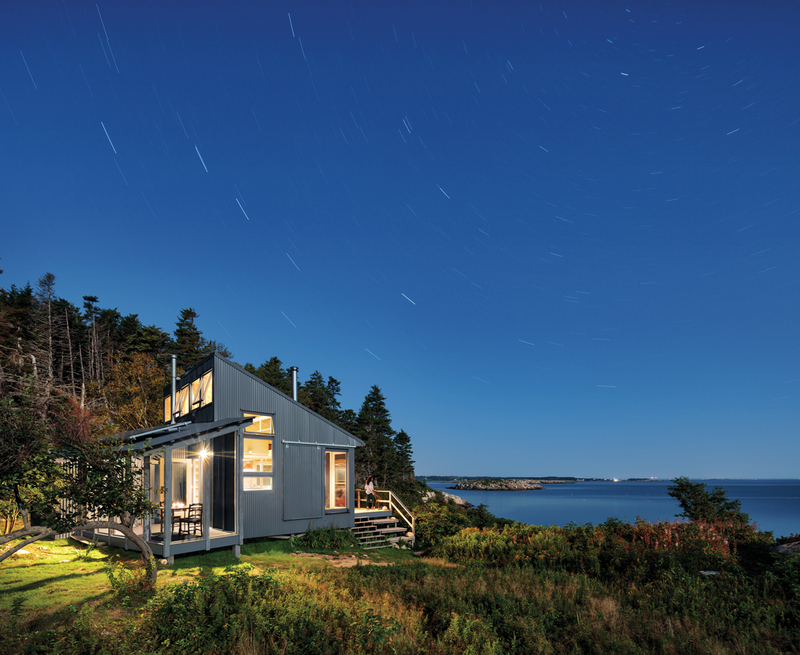 Perched on scrub brush and ledge, this three-season coastal retreat is remote. 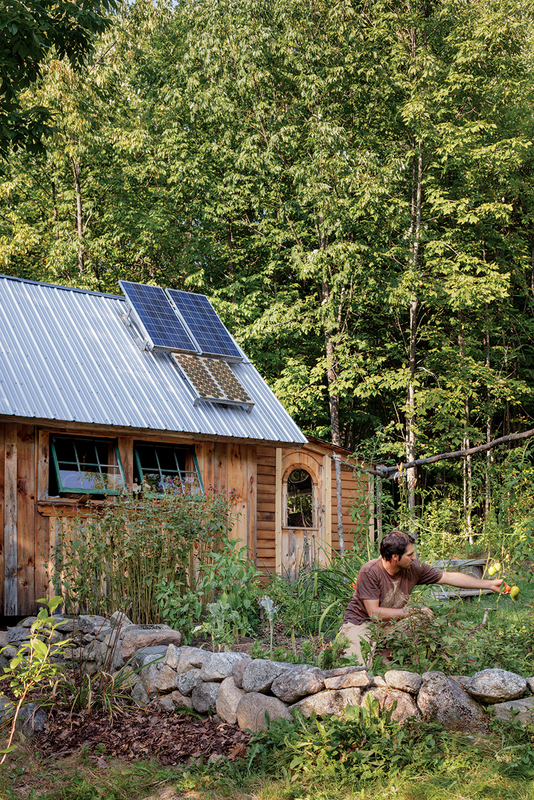 Conscious design was essential in ensuring that the place be as self-sufficient as possible. Solar energy powers lights and appliances, while a Morsø woodstove (on a local beach-stone hearth) provides warmth. 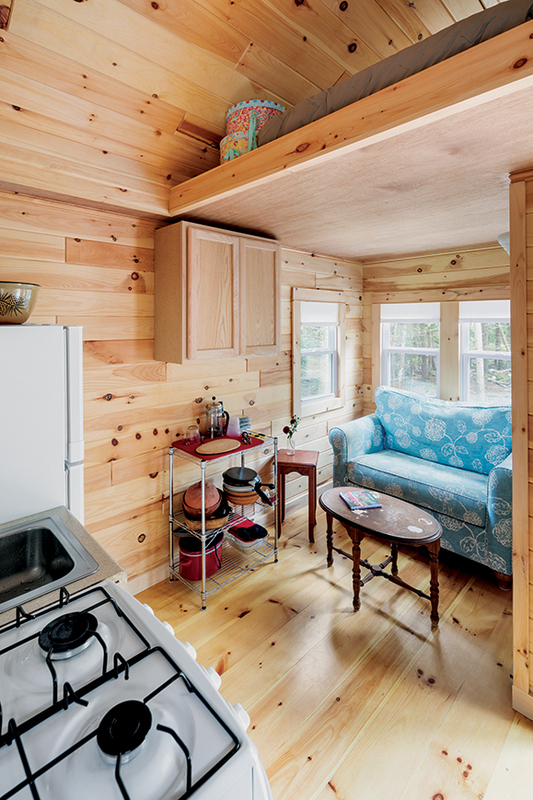 Visitors shower al fresco with on-demand hot water in a cedar enclosure. A roof washer collects and disposes of the first 5 gallons of rainwater before it’s stored in a cistern. A screened porch not only allows for outdoor all-weather dining but also frees up floor space, so the living area feels open and unconfined. 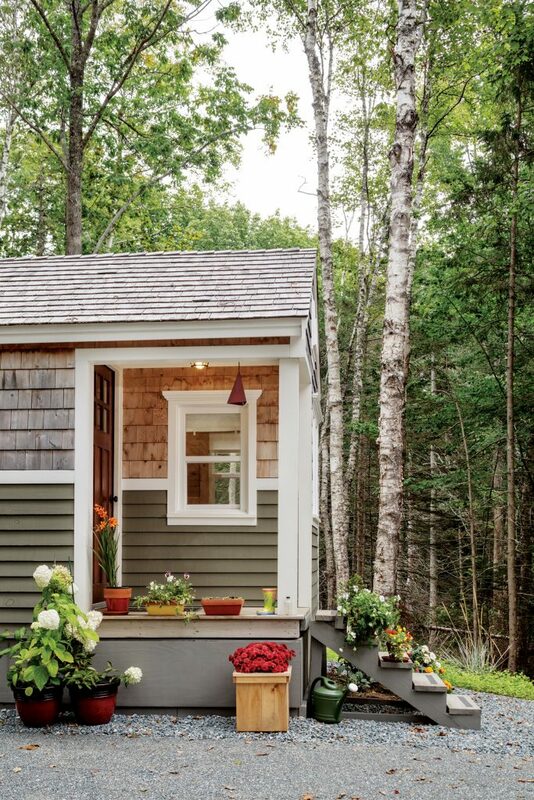 The porch is angled to capture a southern exposure for on-roof solar panels. 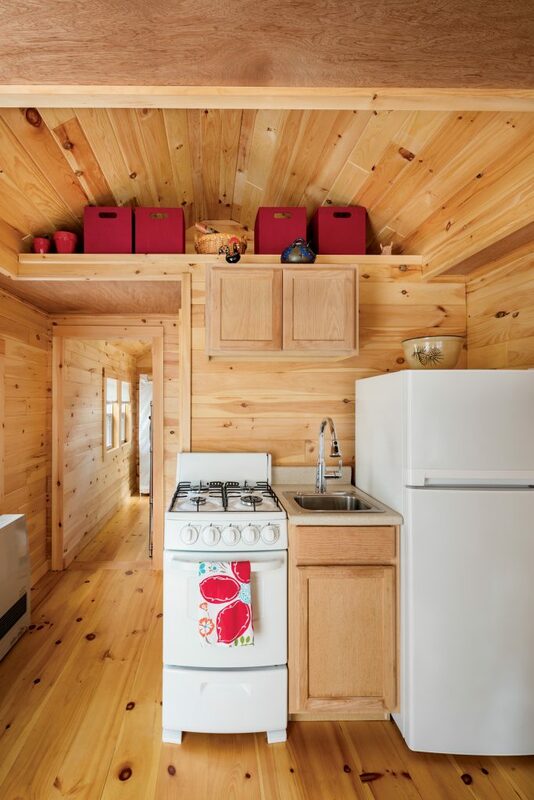 Inside space-savers include a built-in eating nook and a loft that sleeps four. Another smart move: the exterior is clad in corrugated aluminum, with rolling shutters that provide security when the owners aren’t there. 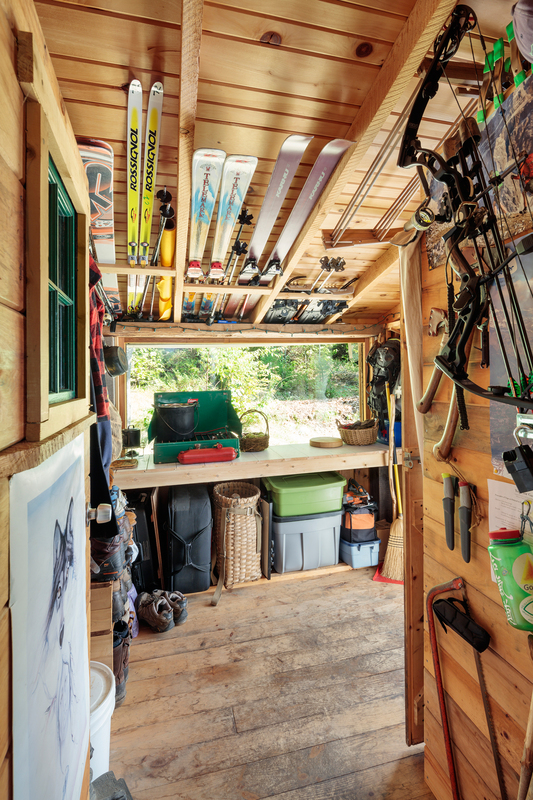 Low-impact design provides four-season enjoyment. “How much space does one need?” asks Bonnie Mattozzi, who designed and built her 400-square-foot house in Waterford with her husband in 2005. 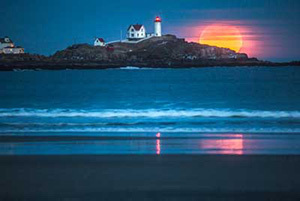 “We were seeing places with huge footprints that didn’t make sense to us. 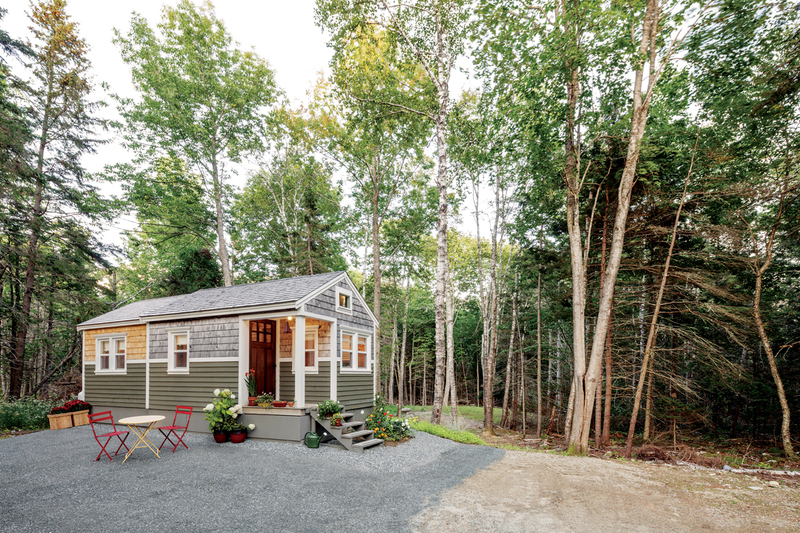 We wanted something that was relaxing and comfortable, small but not oppressive.” Another important consideration was building a place that felt integrated with the outdoors — something Mattozzi says is especially important with smaller dwellings. The home’s interior is cheery and warm, with yellow-pine floors and abundant natural light. 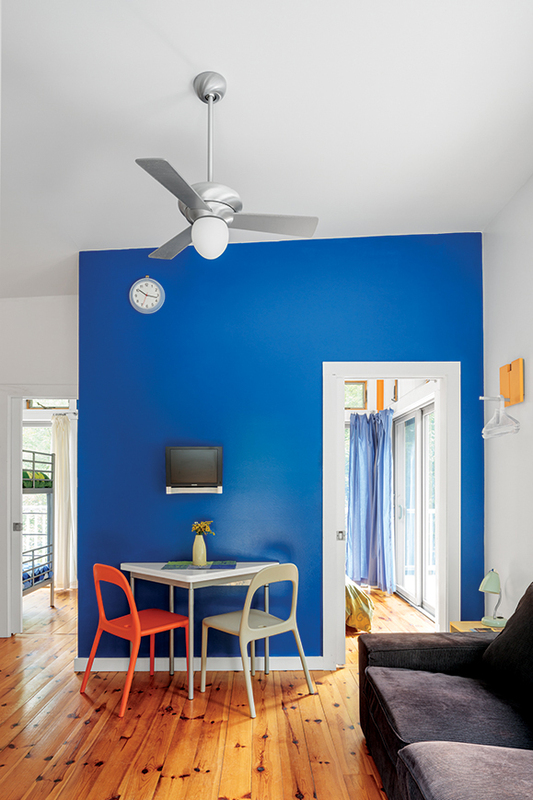 Saturated primary colors add depth to accent walls. “We wanted it to be fun,” says Mattozzi, whose family used the home as a retreat before selling it to a New Hampshire couple. “It’s like a perch. 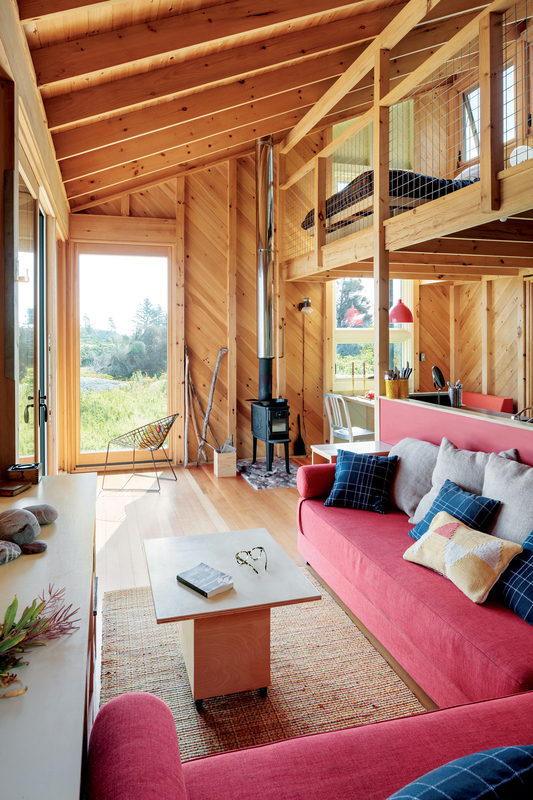 You’re part of nature without intruding on it.” A design plus: the dwelling is divided into a main living space with two small bedrooms, but since the inside walls aren’t load-bearing, it could be open-concept. Passive-solar design means the Rinnai gas heater runs infrequently, even on the coldest days. “It’s warm within minutes,” Mattozzi says. 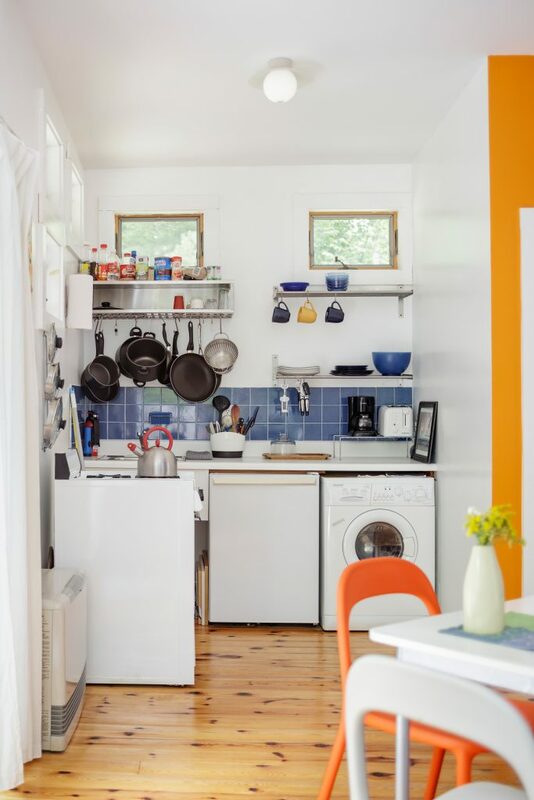 Other efficiencies include an Equator washer/dryer and apartment-size appliances in the kitchen/living area. To minimize upkeep, the exterior is clad in cedar and steel. 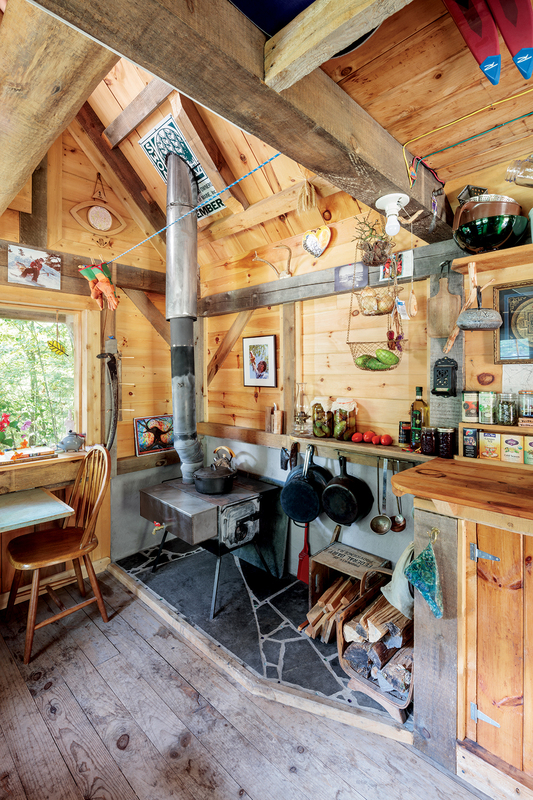 Nearing retirement, a woman finds economy and beauty in her 230-square-foot home. When she was in her late 50s, attorney Valerie Chiasson started thinking about how she wanted to live in retirement. 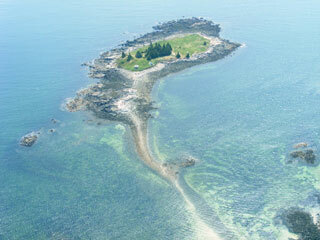 Her large Bangor home was expensive to maintain, and she owned a vacant 9-acre lot in Brooklin. “It occurred to me that I was spending all my time sitting on one corner of the couch, in the kitchen, or asleep in bed,” said Chiasson. 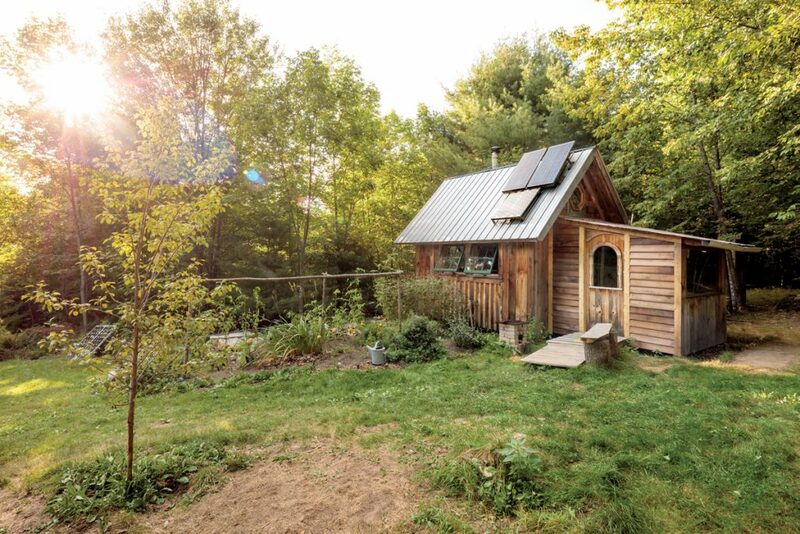 A solution appeared in the form of a tiny house designed and built by Jay Livesey. Chiasson rented out her Bangor property and has lived in her new place in Brooklin since 2014. 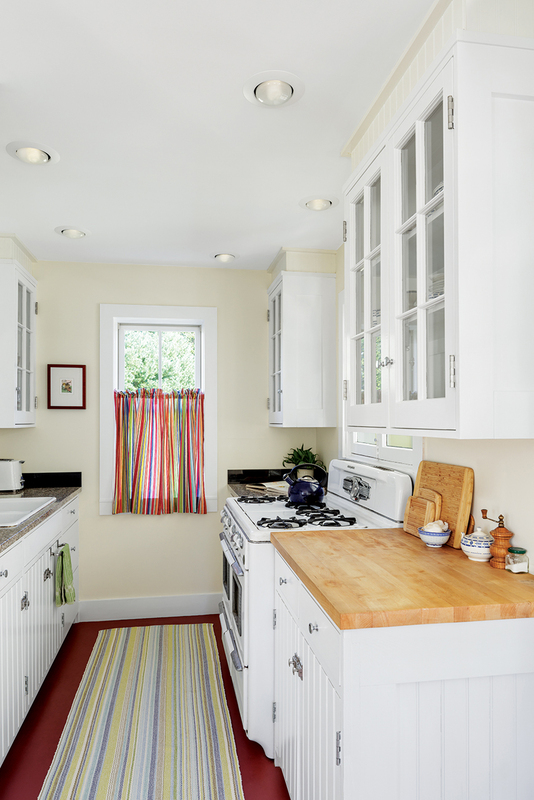 Livesey wanted to build something small and economical without compromising quality. “I don’t like plastic,” he says. 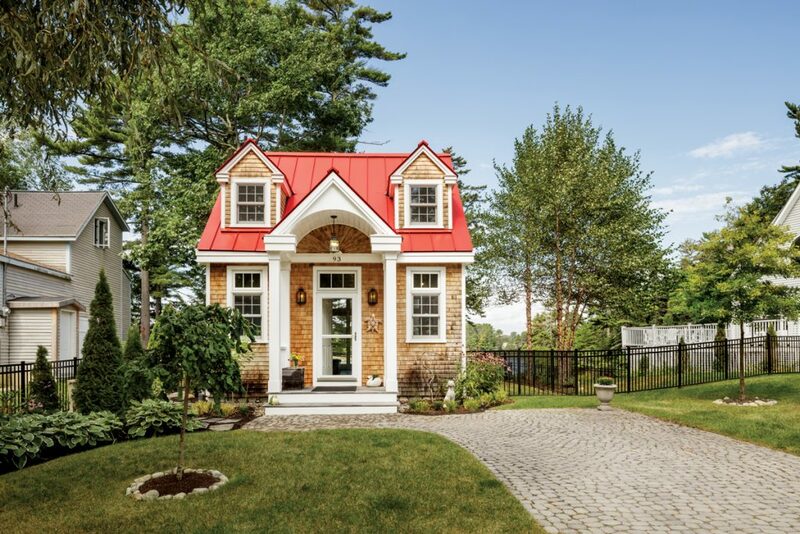 “I wanted cedar shingles and clapboards, nice trim, good materials inside, and a sunny interior.” Chiasson loves the results. 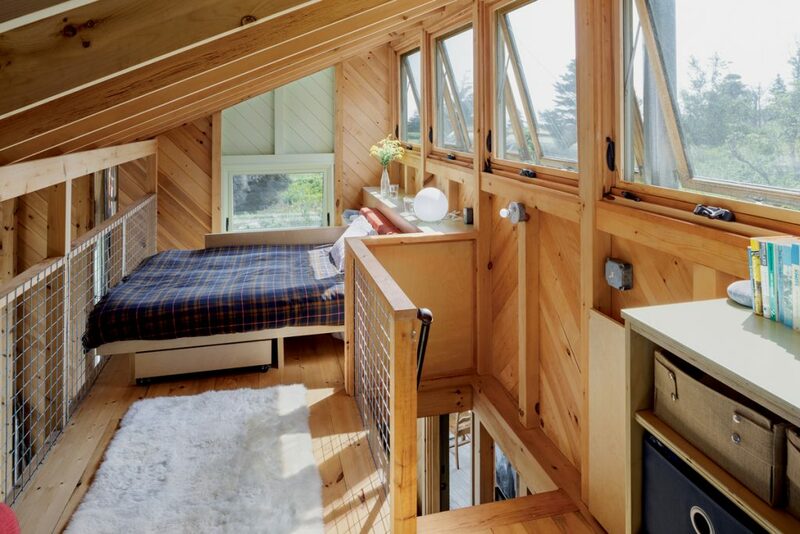 “What’s amazing is that it’s a beautiful little building, and it’s one of the least expensive tiny homes I’ve ever seen,” she says. A hand-built cabin provides autonomy and solitude. 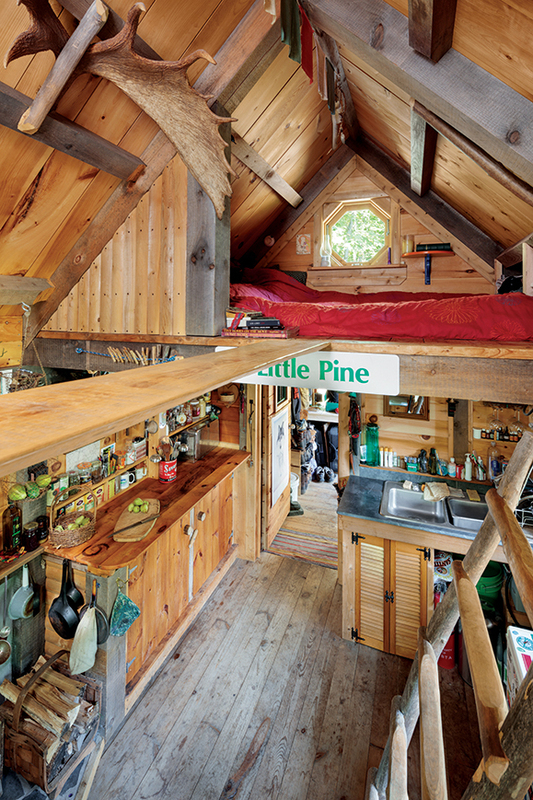 Jesse Cottingham began building this timber-frame cabin on his family’s secluded 5 acres in Otisfield when he was 17. At the time, he was a home-schooler looking for some space from his mom and dad. Now 26, he lives here when he’s not traveling for his photography business. 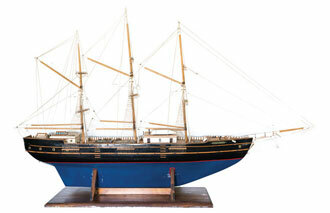 Found and recycled objects drove Cottingham’s design. More than half the materials came from the transfer station and construction dump piles. If Cottingham found a window of a certain size, a wall took form around it. Donated timbers determined the overall dimensions. Great article on tiny houses, my wife and I are just finishing up ours down in Owls Head. It actually started it’s life as a Hillview Minibarn structure, it would be hard to tell now. 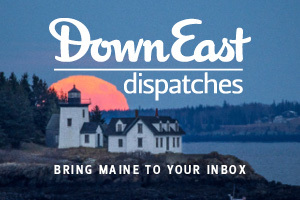 Our kids live in Owls Head.  We have just started looking for land in the area.